How Your Partner Could Be Sabotaging The Relationship And Controlling You. Not every person beginning a relationship is ready for it, as not everyone does it in love. Whatever the reasons may be, the signs are visible from the beginning. Once the signs are identified, there are two possible responses to the situation. One, to face them immediately with the issues that arise, discuss it and propose a line of work to solve the problems that would undoubtedly create tension and heartbreak. The alternative to this is separation. The consequences of remaining in a relationship with someone that's deliberately sabotaging it can be devastating. The longer someone remains, the deeper and more hurtful the heartbreak. Someone is not ready to commit to a relationship, however young or inexperienced they might be, they'd be masters in the art of sabotage. Never underestimate someone's ability to sabotage love, nor the irreparable damage that they can cause. Many people drag someone into a relationship in order to avoid loneliness. For them, it's better to be with just anyone, rather than to face life alone. It gives them a sense of false safety and a boost to their self-esteem that they can't get by themselves. It's unfortunate that in the mind of many people, being in a relationship is also associated to status or that someone is not enough or lovable while single. We're enough whether we're in a relationship or single. Thinking that a relationship make us complete may have its origins in childhood and probably comes from parents. Fear of love or fear of intimacy are two other reasons why someone would definitely not be ready. When the issue is fear of love or intimacy it's possible that they feel and are indeed in love, -not necessarily,- but this would not prevent them from sabotaging the relationship, nor their imperative need to control their partner. In this case, their motives would be mostly unconscious, which doesn't make the experience less excruciating. The most cynical begin meaningless relationships already in the knowing that it that it has no future. These are temporary relationships that serve to buy time until the right person appears. In their minds there's the image of the perfect lover, and would drop their partners like a sack of bricks without notice, although they would have already expressed their discontent in the relationship. These type of partner is easy to recognise, as they'll constantly talk about their attraction to other men or women. Often this is expressed with comments or infatuation for famous people. The fact that a celebrity might not be available, it doesn't make it safe to be in a relationship. Lust also serves to establish a large number of relationships, if only for a while. In lust, one learns to pretend that they're in love. The relationship will last for as long as infatuation or physical attraction does. The relationship would probably be passionate and intense. If lust is the determining factor, in time they will find a substitute. In all cases, these people are driven by a strong narcissistic streak with complete disregard for the feelings of others. Their arrogance, disguised in a rhetoric of confidence is both, blatantly obvious and insulting. Perhaps the worst feeling comes from learning that their sudden confidence and arrogance is built on the love, kindness and attention they receive from you. When someone is limited by fear of love or intimacy, it's likely that they're also experiencing fear of abandonment. In this case, it's possible that love is a strong element in the relationship, and while they're loving and caring, and your feelings are also important to them, your partners inability to deal with their own feelings and emotions would lead them to sabotage the relationship from the beginning. It's also possible that during this relationship you feel most loved and taken care of, interrupted by sudden episodes of neglect that do not make sense, and even talks or threats of ending it for no apparent reason. This type of lover, whether male or female would have terrible problems in dealing with and understanding their own emotions. 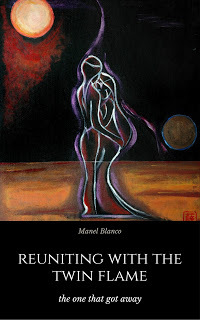 In the book 'Reuniting With The Twin Flame' there's an extensive account on understanding the dynamics in relationships, including the issues described and why some reactions or the end of the relationship might occur for no logical reason and what steps one can take in order to solve these issues. The first signs are likely to appear even before the relationship begins. They'd state that they're not really interested in a relationship per se, that they don't want a relationship with you or would flag the latest polyamory fad so common these days, so as not to commit to one person only. At the same time they'll contradict their statements, seeking your attention and spending time in your company because the truth is, that they're interest. Admitting that they're interested would put them in a weaker position, whereas creating the illusion of rejection plays with the confidence and self-esteem of others, prompting more interest in their persona. Keeping you on your toes by creating a relationship where you feel unstable gives them a sense of power, and in which someone finds themselves constantly chasing their lover. By biting the bait one enters a relationship in which their partner will push all their buttons in order to gain power and have control. Controlling partners use all sort of arguments and forceful truths to challenge the character and personality of their lovers. Often their only argument is a harshly expressed opinion lacking in reasoning or truth-base to put down someone's beliefs and feelings, while refusing to accept their partner's personal opinions. They might be dismissive of a lifetime passion for this purpose, thus becoming unsupportive, what in turn creates a sense of loneliness, being neither heard, nor understood. Making a partner jealous by talking and giving a detailed account of past relationships or keeping past lovers close as 'friends' is used as a warning sign to say that you're not the only one. At the same time, they'll be overly friendly with people who shows them affection and attention. They'd let their partners know of all possible suitors, so as to express how fortunate they're being the chosen one, while at the same time opening up to the possibility to start a relationship with someone else if they're dissatisfied. In social situations, they're likely to be friendly and joyful with others, but they'll be dismissive of or direct their anger at their partners for no reason. This is a way to exclude their partners, creating an energy around that is perceived by others and shows that there's something wrong with the relationship, which in turn would attract more suitors. They need for attention is endless and bottomless. Nothing or no one can satisfy them. A toxic partner gets angry often, blaming their lovers when something doesn't go according to plan. A typical situation is when a couple has decided to go out or participate on an activity together. They'd leave all arrangements to their partners. In this case, the sabotage can come in many forms. Being late, even if it's only for five minutes will trigger them to unleash an over dramatic anger. Anger and criticism would come easy for the most trivial things; wasting any ingredients while cooking, not cleaning something properly or eating too fast or too slow, while stating which is the right way to do everything. While these episodes might seem trivial and of small importance, such attitude works as a drop on someone's self-esteem and confidence. In time, their partners would be at their mercy. The reason why it's important to recognise the signs and tackle them from the beginning is that loss of self-esteem and confidence leads to people not being their most authentic self, while functioning on survival mood. Vital energy drops and so someone's ability to perform at a healthy and vibrant level. This part is not to be taken lightly, as when vital energy, self-esteem and confidence are low, a partner will then target character and personality. Anyone in this situation will not recognise themselves. The sense of loneliness while being around their partners would be overwhelming. Vital energy might return as one is alone, at which point one might regain some of most of their thirst for life and will to thrive. However, this will be met again and again with a partner's dismissal, as at this point, they've probably lost all respect for and belief in you. You're no longer the person they fell in love with, but a shadow, and of course, you'd be the one to blame for it. It doesn't take long for someone to feel weak and unattractive, at which point, they'd have no arguments left to convince their partners that being together is a good option, nor they'd have the energy to display their best qualities. Behind doors this type of people will show their true colours, being sad, tense, depressed, , or angry, but this is a picture that only their partners will be able to see. On social occasions, they transform into butterflies, as if nothing happened, while you might continue absorbed by the last incident, dispute or criticism. They'd also end the relationship for no reason, arguing that it's not going to work or that this is not what they were looking for. Everything is about them. Anything that remotely upsets them would be your fault and they'd surely let you know. Ending the relationship even if it's for a few hours gives me even more control, as their partner is using all their energy to bring back the relationship to a functioning level. There will be break ups and reconciliations again and again, until one of them finally sees the toxicity of the situation and decides to end. With mild, but recurrent criticism on what someone values most, is easy to build a web of lies that can make someone lose their will to live. It's a slow character assassination. Views on criticism changes, as when their flaws are pointed out, they'd get most offended. It's essential to tackle all these problems at the early stages of the relationship, as if prolonged, this type of emotional battering can only lead to the end of the relationship or to affect someone's mental health. Someone who's exposed to this kind of treatment within a relationship might find it difficult to function in the world once it's finished. Unknowingly, the relationship was a slow path to heartbreak, what makes someone feel devastated and disconnected from the self. The path to recovery after experiencing one of these relationships can be long and arduous, and in some cases, the effects might last a lifetime. Sabotaging the relationship and trying to control others is abuse, regardless of what others or the world may think of this person. Everyone has certain need for control, so as to establish some sort of safety within a relationship, but there are limits. This can be accomplished through dialogue and shadow work. While the portrait of the person described above can be viewed as awful, they might still be loving and caring people that are not aware of their traumas or what causes them to behave in such ways. Everyone has a preconceived idea of what relationships should be like, never considering the unknown element, which is their partner. Trying to create someone's perfect vision of a relationship without their partner's input is one sure way to remove freedom from the equation. Where there's no freedom, there's no love. It's important to treat these situations with love, kindness and compassion for both in order to establish a dialogue that creates a narrative that can be written by both partners. An aggressive approach that denounces certain types of behaviour would only lead one of the partners to close down or to leave the relationship. Relationships do take work and sacrifice, as well as love, but it's essential to remember, that it has to come from both partners. When only one of the partners makes sacrifices and uses all their energy to do the work, the relationship is imbalanced and would lead nowhere. Making sure of this is an act of self-love. However bleak this type of relationship might seem, if there's love and fun, it's always easier to overcome all these obstacles. One of the problems in dealing with issues within relationships and shadow work is that people do forget to have fun or to be creative. If you recognise these signs in a current relationship or a past one, do remember that your partner might be reacting to the trauma created by a past relationship. It's not about bringing them down, but understanding and love.